Registration is now open for the following teams: Miniroos, U12-16 Junior Teams, U18 Divisional, City Women, City Men. 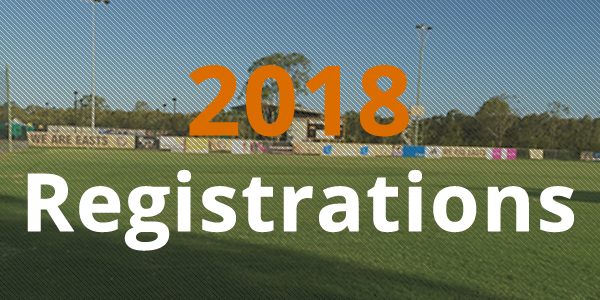 Online registrations for the 2018 football season open on 20 January via My Football Club. NB When selecting the Club name during the registration process please ensure you select: Eastern Suburbs Soccer Club Ltd.
Be careful to choose the correct club, there are a number of Eastern Suburbs football/soccer clubs in Australia. Using your FFA number and your password login to Player Registration on MyFootballClub https://www.playfootball.com.au/player/player-registration You may have to reset your password. Please note that you need to use the email address that you have previously registered with as the new password will be sent to this address. If you are still having problems logging in please call MyFootballClub on (02) 8020 4199. Check that your personal details are correct and your photo is current – please update if necessary. Answer Question about playing in another country YES/NO and Confirm. Your package will appear below, click Next to continue to: Terms and Conditions Page . You will need to accept the FFA Terms and Conditions, once you have done this click Next to continue to: Payment Page. You will now be on the Payment Page which will show your applicable registration fee in full at the top. This amount can be paid as described below. We recommend that you pay via My Football Club Online Payment Gateway with a credit card. The other option is direct debit in which case you will need to select Manual Payment at Club and follow the Direct Debit instructions below. You should see Registration Submitted on this page to confirm that your registration is recorded and awaiting approval by the club registrar. Payment methods are summarised below. Please note we will not be taking registration payments at the club. Your payment is due and payable by the 9 February 2018. Direct Debit – please deduct any previously paid deposit. Cash or Cheque – please deduct any previously paid deposit. Payment can be made by cash or cheque by making a deposit directly into our bank account at any branch of National Australia Bank (NAB). Please ensure you reference the PLAYER’S name and AGE GROUP when using this method. Please send an email to administration@eastsfootball.com advising of your payment via this method. Instalment plans are available by completing an Ezidebit form available from the Treasurer or Administration. Sibling Discounts are available – this is applicable to the second or more school age child/children in a family at $50 per child. Vouchers need to be sent to the Treasurer or Administration so that the club can redeem the voucher and you will receive the $150 discount.